Chicago always gets a bad wrap for its drivers. It's true, it is a big city and many of the drivers don't feel like the rules of the road apply when driving downtown, so it can get a bit chaotic at times. I won't drive there unless I absolutely have to, but thankfully I have a husband who thrives in all of that madness. But, when we went to Canada last summer and drove through downtown Toronto, I quickly learned that they make driving in Chicago look like child's play. For Canada being toted as such a friendly country, I was surprised at how aggressive everyone was behind the wheels of their cars. By the time we reached a parking garage, I was so stressed out and I wasn't even driving! It was a good thing we had a visit to Ripley's Aquarium in downtown Toronto scheduled that day. There were many exhibits to visit, and we were definitely mesmerized by each one. I would suggest bringing a good camera with you if you want nice photos. It was raining the day we went and I didn't want to haul around my big boy camera in the rain, so I just brought my phone which I now regret. It is super dark and you'll need a high ISO to get clear shots. 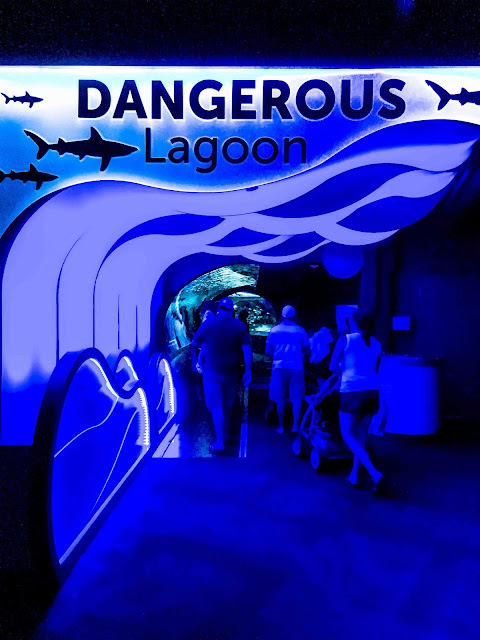 Our favorite area was the Dangerous Lagoon. 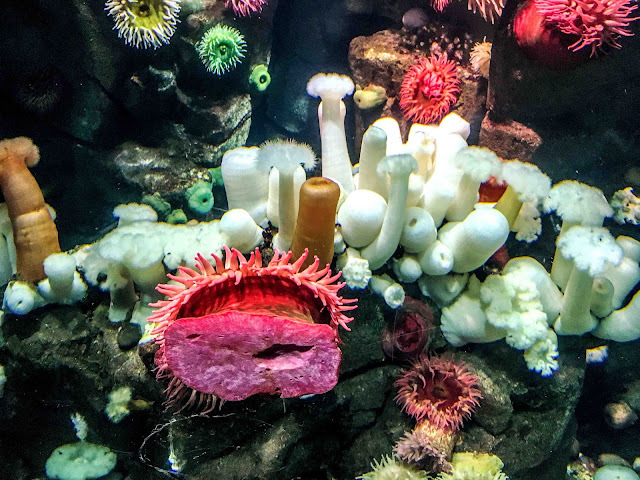 You'll take a slow conveyor belt ride through a see-through tunnel where you'll get to gaze at all kinds of sea life, ranging from small fish to huge sharks. 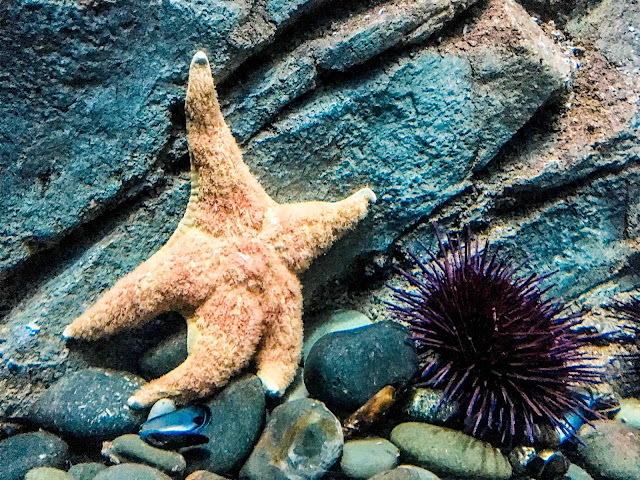 The tunnel will give you the feeling that you're floating along underwater with your favorite sea creatures. If the little kids want to burn off some energy, they offer a fun undersea play area where they kids can run around to their hearts content. I'm pretty sure that the Ripley's Aquarium is part of the Toronto City Pass and it's located right next door the the CN Tower, so you can knock out both attractions in a day. It's a great way to spend a family day in Toronto. What's your favorite underwater creature? I like Ripley's anything! I went to a museum of theirs once, and loved it. I liked the show when it was on. Their books are amazing. I love your photos too! It looks like so much fun! I wanted to go to the Ripley's museum when we were in Wisconsin Dells a few years back but we ran out of time. Allison always likes getting their books from the library so I think we'd love a museum visit too! 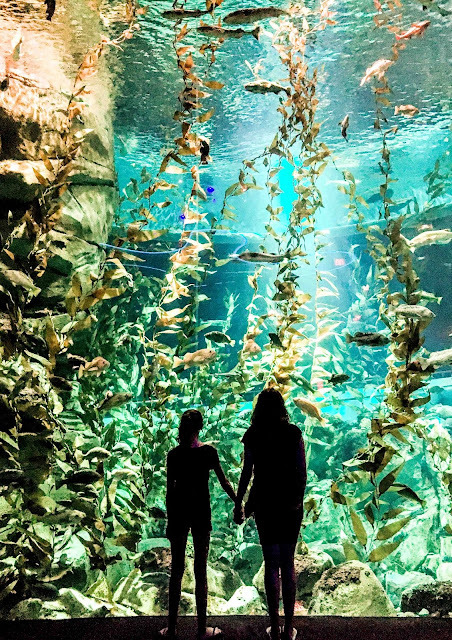 It looks lovely, but I just don't do Zoos and aquariums, they're ever so cruel, unless all the animals they keep are wounded ones incapable to live in nature. Is Mariah still planning on becoming a marine biologist? No, she's going into biochemistry. She wants to work in medicine, but I think she'll always have a soft spot for marine animals. I just think hoping to find cures for human illness is more of a passion now. Oh how fun! My boys would have loved it there. Sharks are the boys favorite! That looks like so much fun! My family and I love the aquarium. We haven't had the chance to see this one yet, buy it's actually been on our list for a while now. 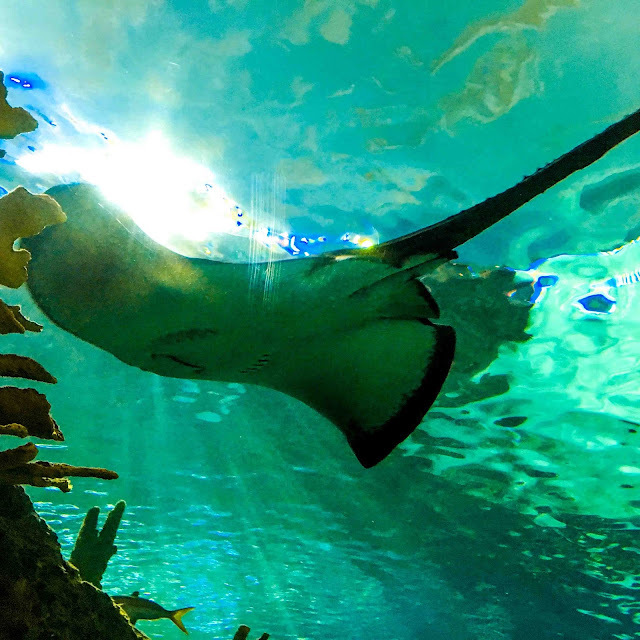 We have been to Ripley's Aquarium in Gatlinburg a few times and it is really neat. The kids always love seeing it. That would sure be great to sea. Yeah, Toronto is a wacko city to drive in. That and NY are two I would never want to go through. Who knows, maybe with her major switch she'll cure one of the many ailments out there...if Big Pharma lets her. Let's hope so. The college she's going to was the first one of find a something that would combat the Zika virus, so I am hoping she doesn't get sucked into big pharma and actually does some real change with her degree. This place looks so amazing. We love to visit a good aquarium. That picture of the two of you is one hell of a beautiful picture, all right. Thank you Blue :) But that is of my girls. I was shocked to see them being so lovey towards each other so I had to take a quick snap to remember it by. I love taking the kids to aquariums and museums! They have so much fun and don't realize that they've learned so much as well. 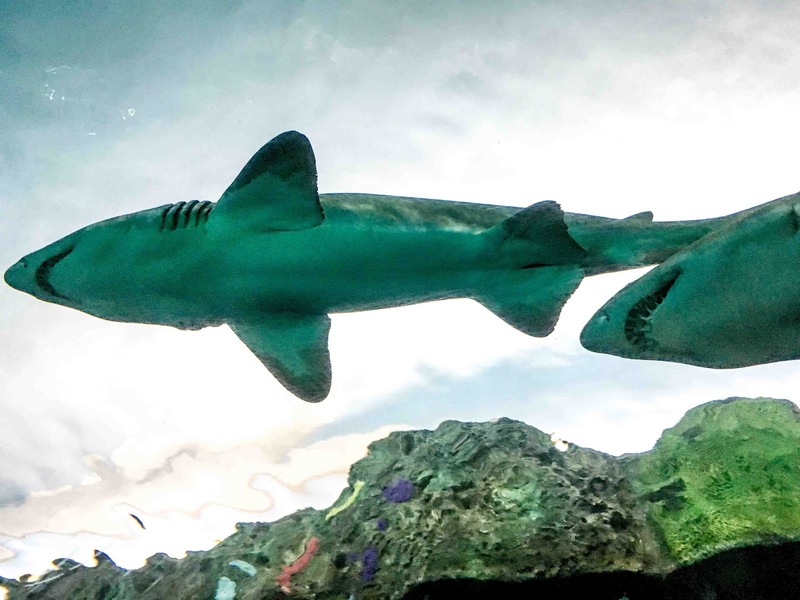 My kids love going to the Ripleys aquarium! Their displays are amazing, we have been a few times. 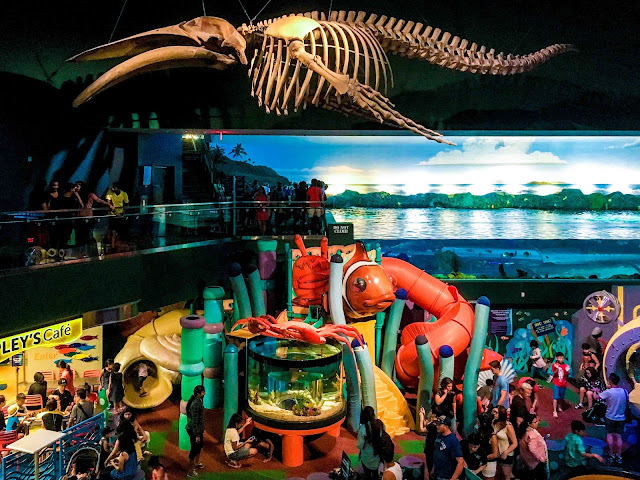 I need to go see the Ripley's Aquarium in person. I love to watch the jelly fish. 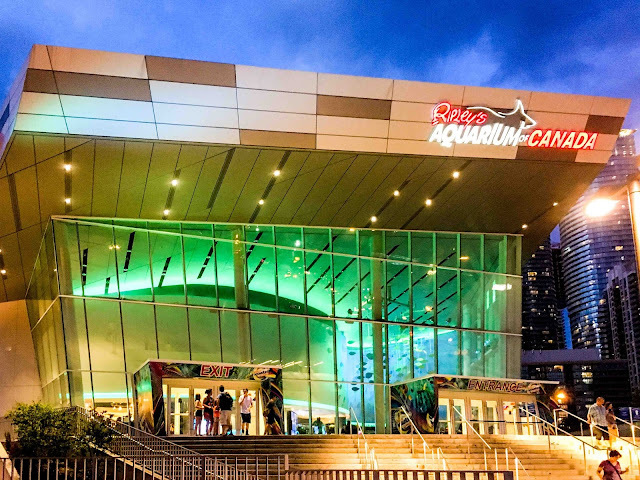 We have a Ripley's aquarium semi local to us and we go every year! My daughter and I love to go see the sharks! I love that picture of the girls holding hands!! I think your phone did great. :) I'd love to visit Canada. I can't believe we lived so close and didn't go. So surprised about the drivers too!! The worst places I've been for driving are Maryland (surprised me), DC and Chicago. I have never driven in NYC, but I bet that's not very fun to do either. ;) Glad you had a nice time! Wow, I always had the feeling that Maryland was a laid back kind of state. I'm surprised to hear they have insane drivers too. Los Angeles was a bit crazy too, if I remember correctly. That sounds like an amazing place to visit. I would love to take my kids there someday. This looks like such a fun place. I think there is something very therapeutic about aquariums. I would have a heyday there! Looks like so much fun. Underwater life intrigues me. I love Ripley's Aquarium! We always go whenever we can. It is so relaxing to watch the fish and bubbles. Wow this place looks like so much fun! I am so putting it on my list! I do love catching those rare sibling love moments ♥ Our local zoo is like that. It's like $10 each to get in and they only have a small handful of animals. You can finish the zoo in about 30 minutes. They tried to attract people by putting in a train ride, but the stupid thing doesn't even go around the zoo, just in a tiny circle around a pond. Pft! Seahorses are one of my favorites too! I always watch them and jellyfish for long periods of time when we go to the aquarium.